Home » Obituaries » Rex Caldwell, Sr.
Rosary Service followed by the funeral service for Rex Caldwell, Sr., age 81, of Davis, OK will be held at 11:00 A.M. on Wednesday, November 21, 2018 at Murray-Orwosky Funeral Chapel with Vicky Hauck officiating. Interment will follow at Shooks Chapel Cemetery with Paris Caldwell, Karl Long, James Lee Caldwell,Justin Caldwell, Mark Caldwell, James Dalton serving as pallbearers. There will be no formal visitation. 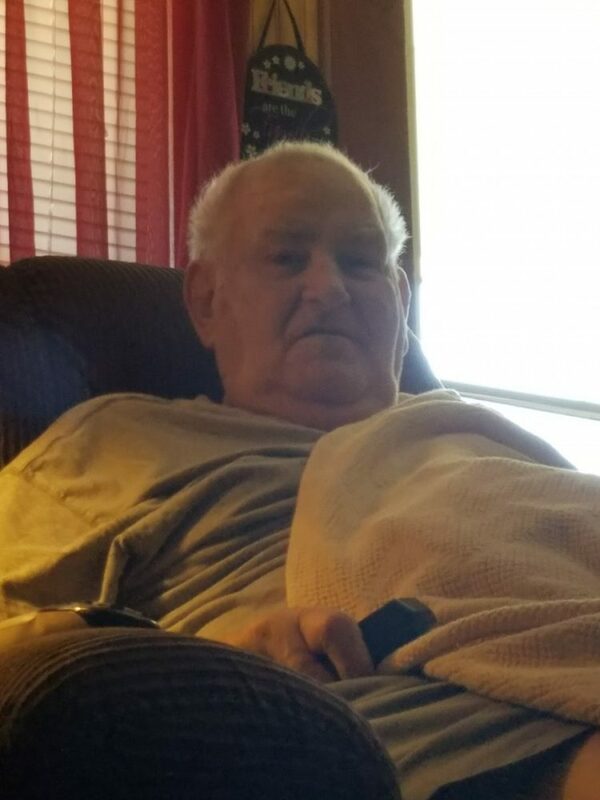 Mr.Caldwell passed away on Sunday, November 18, 2018 in Oklahoma City, Oklahoma. Rex was born on August 16, 1937 in Dallas, Texas to Dalton and Margaret Caldwell. He married Juanita Orona on August 22, 1951 in Dallas, Texas. She preceded him in death on September 14, 2013. Rex worked for Aladdin School Supplies as a printer and was owner operator of carpet cleaning business. He was of the Catholic faith. He is survived by his daughter, Lindan Caldwell Long and husband, OJ of Davis, OK; sons, Michael Caldwell and wife Jan of Fate, James Caldwell and wife, Shannon of Broken Arrow, OK, Rexford Lee Caldwell, Jr. of Coweta, OK; twenty two grandchildren; twenty eight great grandchildren; brother, Tommy Caldwell and wife, Mary Jo; sister, Dorothy Arnold and husband, Donnie. Rex was preceded in death by his parents; wife; daughter, Rexine; son, Johnny Lee; sisters, JoAnn, Billie, Sandra and Jackie; brothers, Charlie and Bill.